After a successful landing at field camp and quick briefing in the galley, first order of business was to get our tents and gear setup. 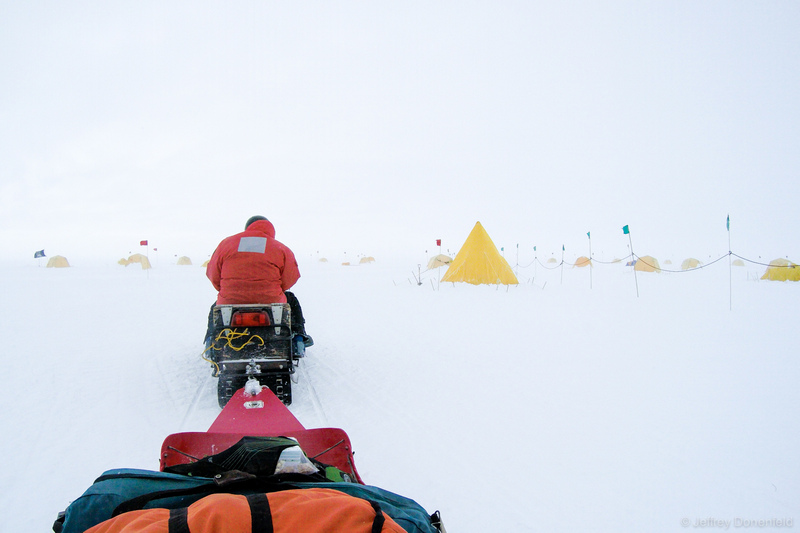 In this picture, I'm sitting in our gear sled as we snowmobile to "Tent City", on the edge of camp. Everybody has their own tent, and it's a blend of 4-season mountaineering tents, pointy "scott tents", and dome-shaped "Arctic Oven" tents.